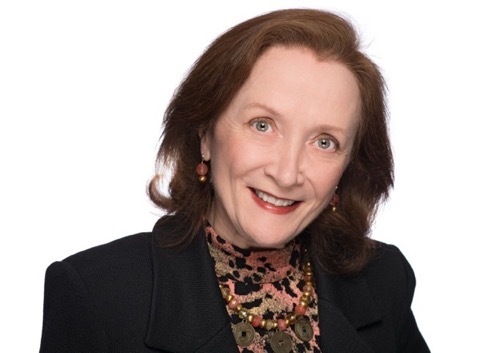 Gloria Burke is an Industry thought leader and subject matter expert in digital and enterprise social business transformation strategy, knowledge management, culture transformation and related future workplace disciplines. Gloria works closely with senior leadership of Fortune 1000 companies in formulating strategies that enable them to harness the power of emergent technologies to drive collaboration, build differentiating capabilities and deliver game-changing business results in order to meet the demands of a more mobile and agile workforce. Formerly Chief Knowledge Officer of Unisys Corporation, she is a published author and internationally-recognized conference presenter on emergent workplace topics. She has been recognized by Information Week Magazine as #2 in a list of the Top Ten Social Business Leaders of 2013. Why are we falling in and out of love with collaboration solutions so quickly? GB: Digital technologies are transforming every aspect of how we work. Companies are feeling the pressures of the digital economy and the need to harness technology to improve collaboration, drive innovation and increase market agility. CIOs and CTOs are bombarded by vendors with the next “shiny new thing” that promises to suddenly unlock, empower and engage their employees and deliver untapped value across the enterprise. The fundamental issue here is not about the technology. It is about people. Companies need to create an overall collaboration strategy that focuses on change management -- leadership alignment, employee adoption and engagement and effective communications. The concept of “build it and they will come” isn’t going to work. Experience shows us that people may initially come to the platform out of curiosity, but will only stay and continue to engage if they find it valuable. In fact, several industry studies indicate that only 20% of companies that have implemented collaboration platforms have been able to achieve and sustain an employee adoption rate of more than 75%. Those achieving lack-luster results, believe that it is due to the technology failing and are quick to replace it with next new thing, only for it to suffer exactly the same fate. There is no doubt that we have to change and embrace digital collaboration, but change is a journey, not a sprint. What is the biggest mistake or mistakes that you see companies make again and again when looking for or trying to implement new collaboration platform? GB: Companies need to place strategy before technology. Setting a vision for the collaborative workplace is essential. You must define an end state in order to build the roadmap to get there. Don’t boil the ocean. First, think about what problems you are trying to solve and then assess how technology can help to solve them. When it comes to collaborative technologies, don’t look for “one size fits all” or the “popular” technology of the day. Define a set of requirements, then find the solutions that meets those needs. There are also multiple collaboration styles and you need to find the right fit for your organization – one that closely aligns with your company’s culture. Which company in your opinion has the best culture of collaboration that others should try to replicate? GB: There is a danger of just jumping on the bandwagon and implementing a popular collaborative platform, just because someone else has done it and been successful. There is no guarantee that you will have the same success. Each company has its own DNA and leadership style and your collaboration strategy will need to fit within that. As we move more deeply into the era of the digital enterprise, companies must strive to become more collaborative, efficient, innovative, and agile. The ability for companies to function with precision and agility like that of a smaller startup will define competitive advantage. Companies that are quick to embrace digital technologies, especially collaborative tools will be positioned to win. Those that don’t will be left behind. How do you see the future of email? GB: Reports of the death of email are much exaggerated. Email isn’t going to die, at least not anytime soon. Transparency of communications through social networks – the ability to openly share relevant information from one to many – is driving us toward a more aware, engaged and efficient workplace environment. However, email still has its place for specific one-to-one/few, sensitive or more confidential communications. Also, email when used in conjunction with other collaborative tools just might get its second wind. Who are your favorite enterprise social analysts and commentators? Which books should Bitrix24 users read, which bloggers should they follow, whose podcasts should they listen to? GB: 1. Industry SME (Twitter, Blogs, Podcasts): Jacob Morgan, Dion Hinchcliffe, Andy Jankowski, Gloria Lombardi, Catherine Shinners, Daniel Newman, Rachel Happe, Allison Maguire, Chris McGrath, Susan Hanley, Lesley Crook , Jane McConnell, Jeff Willinger, Celine Schillingerand Jennifer Honig are always on my radar.